This entry was posted in Blog, Herzog Project, News, Projects, Videos, Werner Herzog series and tagged Herzog, Herzog Project, Herzog/Lynch Project, Werner Herzog, Werner Herzog series on August 19, 2013 by wmaierica. Extreme Duplex Makeover With Werner Herzog and David Lynch Promo from Will Maier on Vimeo. This entry was posted in Herzog Project, Projects, short film, Videos, Werner Herzog series and tagged Herzog, Herzog Project on October 27, 2011 by wmaierica. 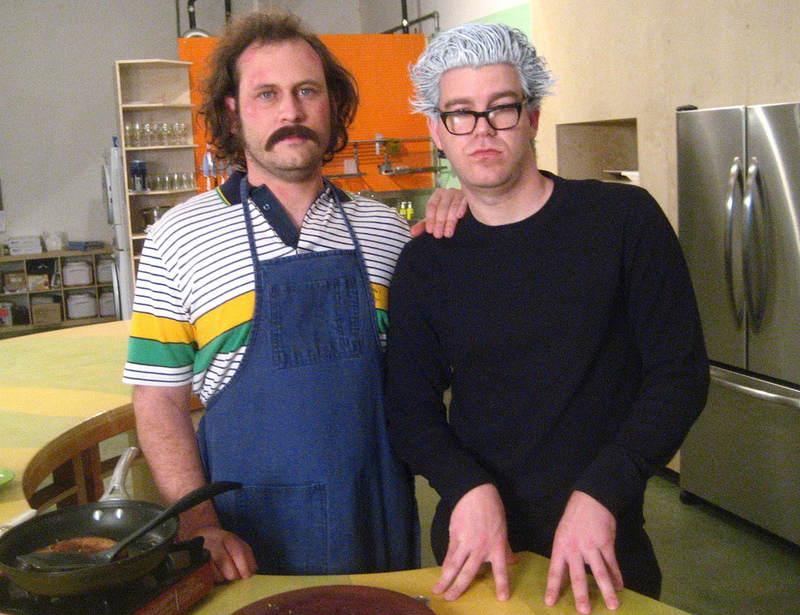 You can view the entire series so far at WernerHerzogEatsTheWorld.com. This entry was posted in trailer, Videos, Werner Herzog series and tagged Cooking WIth Werner, Herzog, Herzog Project on May 7, 2010 by wmaierica. Werner Herzog appears on The Tomorrow Show in LA to discuss his next project: a film of Shakespeare’s “Henry V” in which all the actors are birds. Live Appearance as Werner Herzog from Will Maier on Vimeo. 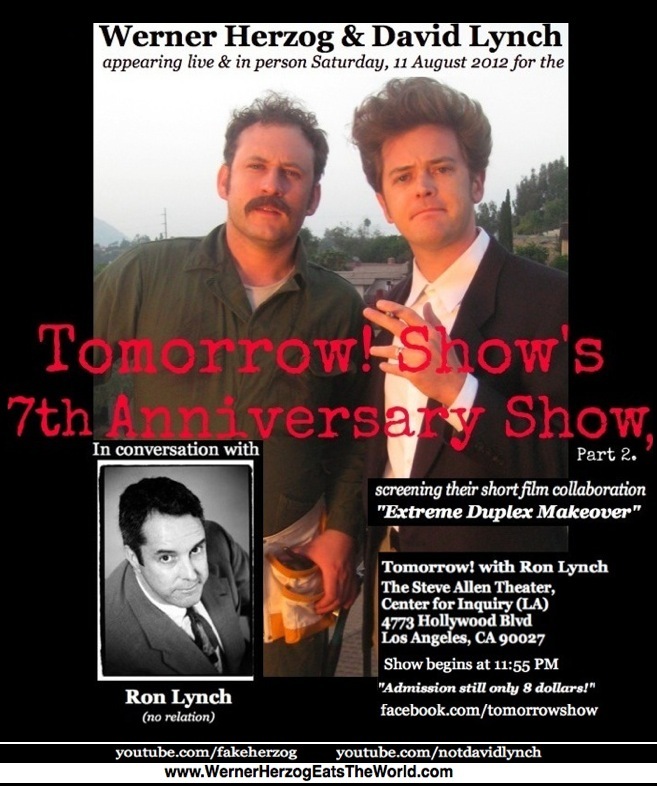 The Tomorrow Show in Los Angeles is hosted by Ron Lynch at the Steve Allen Theater in Hollywood, every Saturday night at Midnight. This night’s special guest host was Dave Higgins. This entry was posted in live performance, Shows, variety, Videos, Werner Herzog series and tagged Herzog, Herzog Project on November 30, 2009 by wmaierica.